Unattractive building is the main constraint for our Klique Desk project. The site, Chinnawatr silk building, is one of the oldest 5 storey shop house style building in Bangkok. It was build for at least 30 years, thus the structure and paint is quite eroded and dispirited. 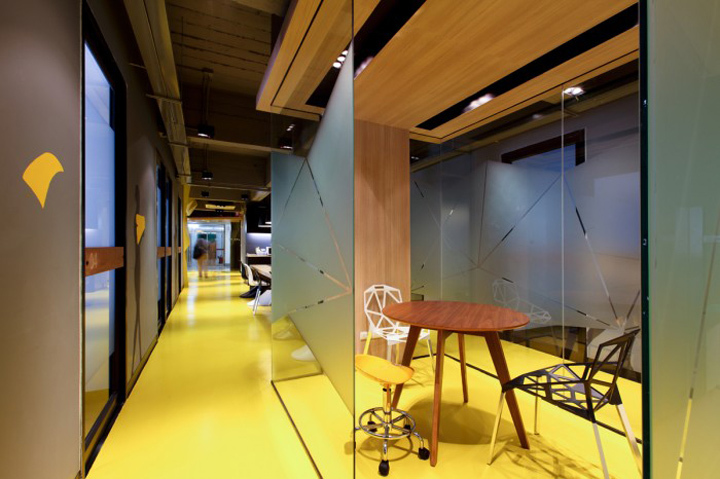 The design team then came up with the vigorous yellow-ish design to ensure customer impression and contrast feeling with the outer look of building. 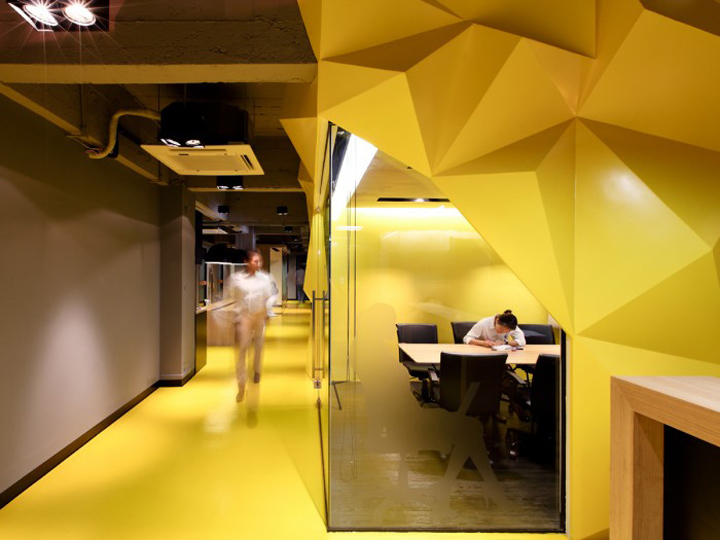 Flowing from the yellow paint on the floor combining with the geometric wall can overcome the old design with the new identity and give brand awareness to customer. We believe that the space should be a workplace that positively and optimistic impacts to the client and not just another source of overhead as well as enhances the collaborative of people. Co-working customers and private office customers have different needs so we ensure that our workspace maintain the balance of utilization for both group of customers. We simply use the workflow map to extract the actual needs of co-working space that prefer the interactive working space and private office customers that prefer more segregated area. Then we focus to create flexible interior design that match with both requirements. Main objective for Klique Desk is to combine 2 needs in single location, co-working space and private office. Thus, the office layout will be less structured and simple with comfortable and chic-design office furniture. The open plans will create cafe-like atmospheres and promote creativity and transparency. Other shared-resources like pantry, meeting and conference rooms and office supplies will be easily access to all users. Also the back office and IT support is also crucial to ensure the all-platform compatibility. The result is Kliquedesk is an authentic, welcoming, comfortable and meaningful workspace designed in such a way to help people does work better.